Modiphius Entertainment has released The Dying Ship adventure for use with Coriolis Sci-Fi RPG. What is hiding aboard the silent hauler and what has happened to her crew? 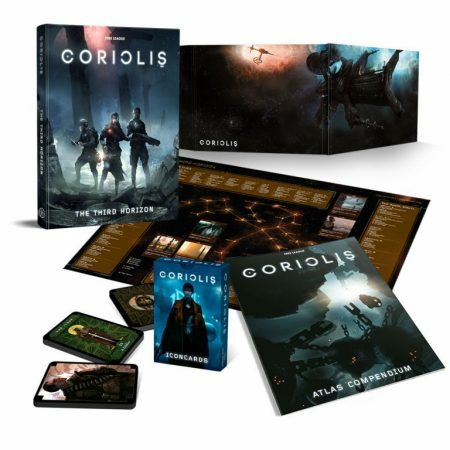 Modiphious Entertainment and Free League Publishing are pleased to announce the new sci-fi RPG line, Coriolis – The Third Horizon including: Coriolis core book, Atlas Compendium, Icon Deck, Gamesmaster screen and map – plus a special Coriolis ICONs bundle for Coriolis collectors. 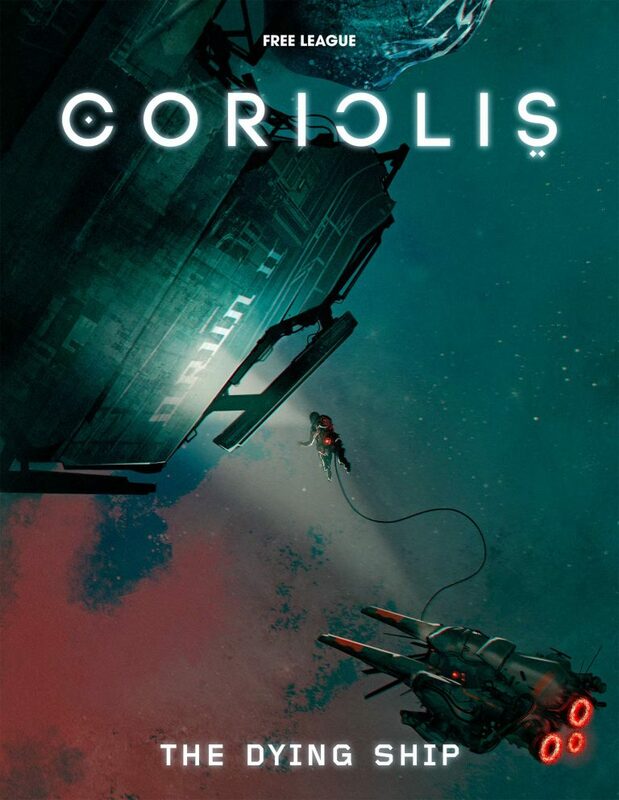 Coriolis – The Third Horizon is a brand new science fiction role-playing game from the makers of the critically acclaimed Mutant: Year Zero (six-time nominee and winner of a Silver Ennie for Best Rules 2015). Core rulebook: This massive and beautifully illustrated 384-page hardcover book gives you all the rules you need to play Coriolis, and an in-depth description of the Third Horizon. Atlas Compendium: This 60-page booklet reveals secrets of the Third Horizon and gives the Gamemaster tools and tables to create star systems, planets, missions and encounters. Icon Card Deck: With this deck, you can foretell the future, create scenario seeds, determine combat initiative, emulate dice rolls, manage your ship crew positions, and more. 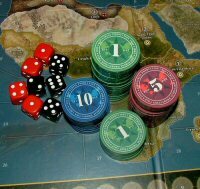 GM Screen: This deluxe Gamemaster Screen for Coriolis – The Third Horizon is made out of three sections of 3 mm thick hardback, measuring a mighty 855 x 216 mm when unfolded. Map: A large full-color map of The Third Horizon on the front and the Coriolis station on the back, in the format 39.5cm x 55.8 cm.